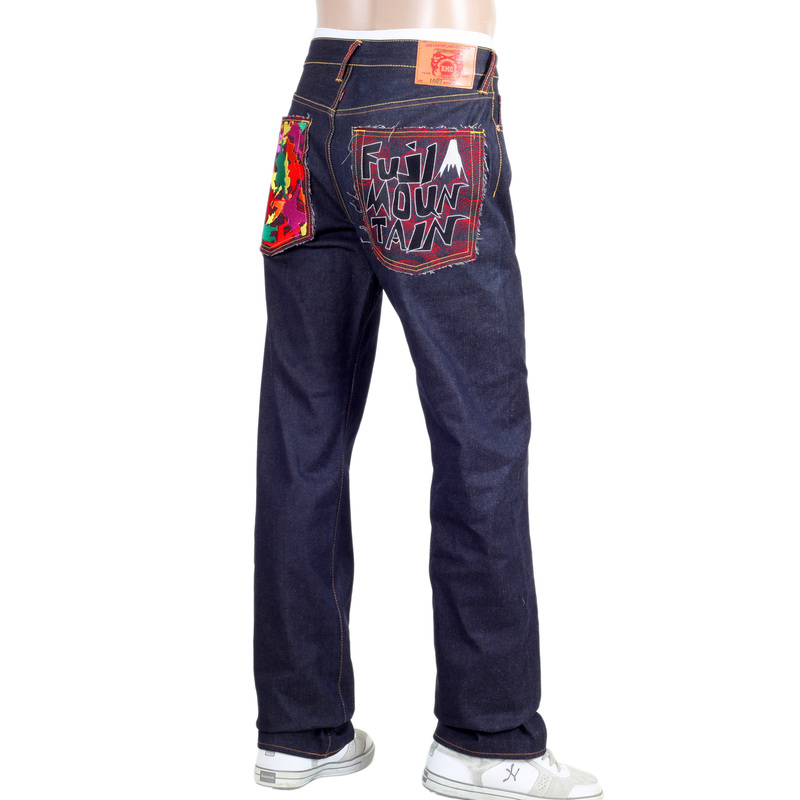 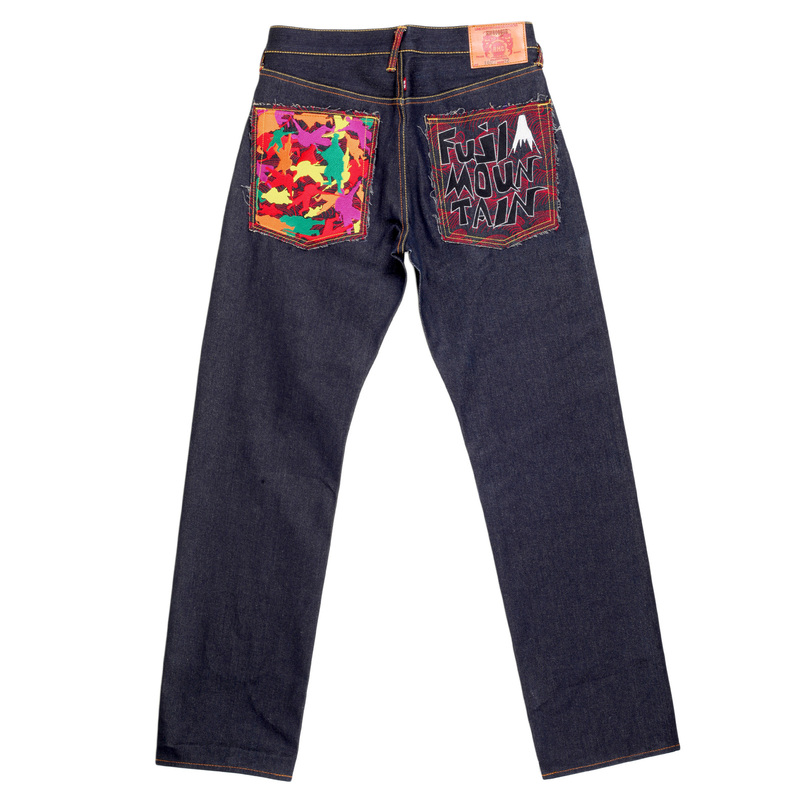 This RMC Martin Ksohoh jeans sports an unexpected, bold and colourful embroidery that catches attention immediately. 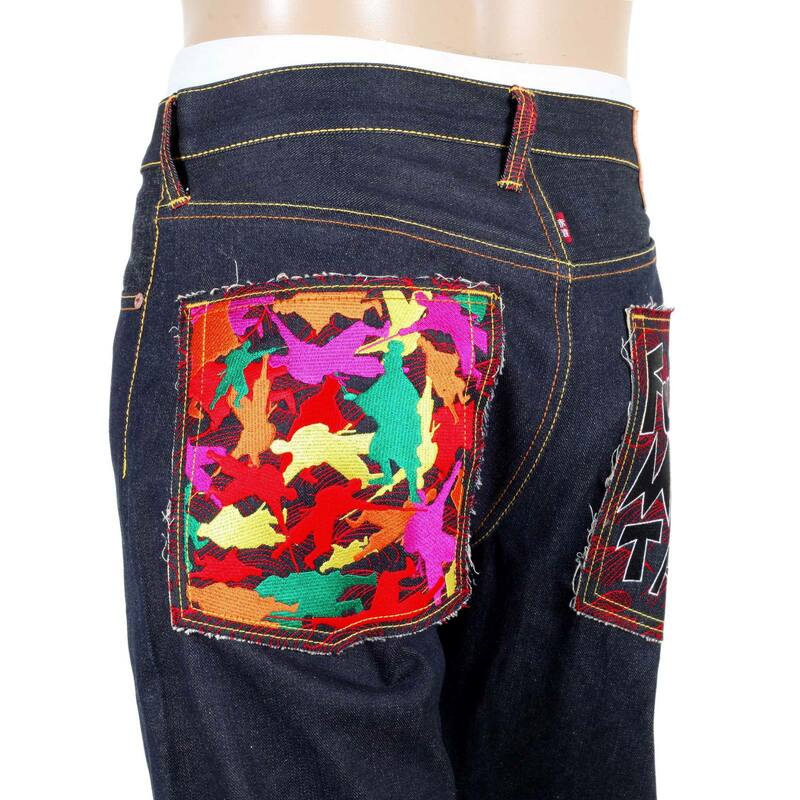 On one pocket of this dark indigo jeans is the embroidered silhouette of several samurais on a background of red signature tsunami waves. 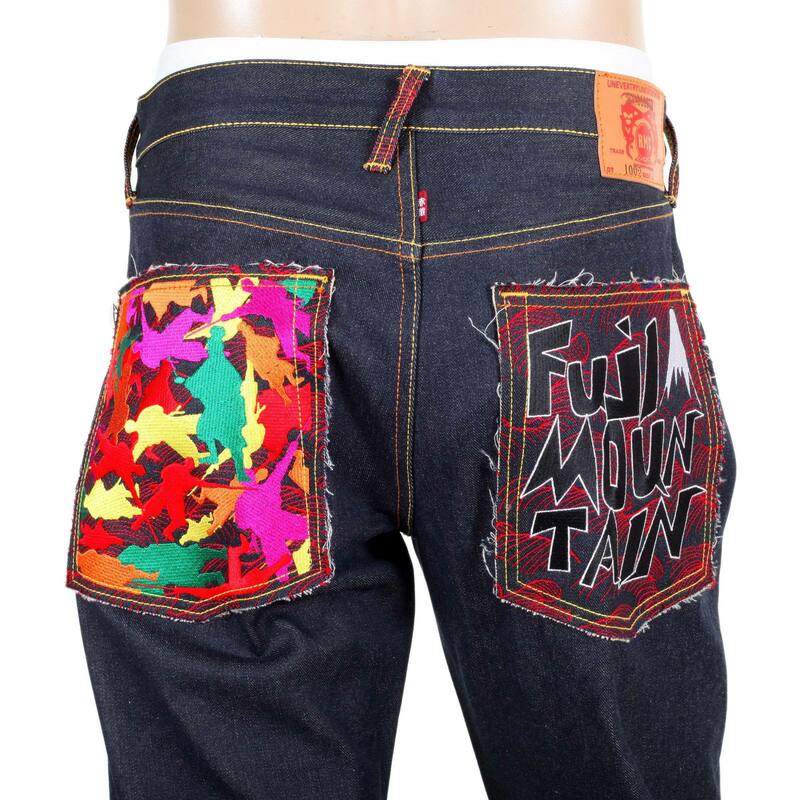 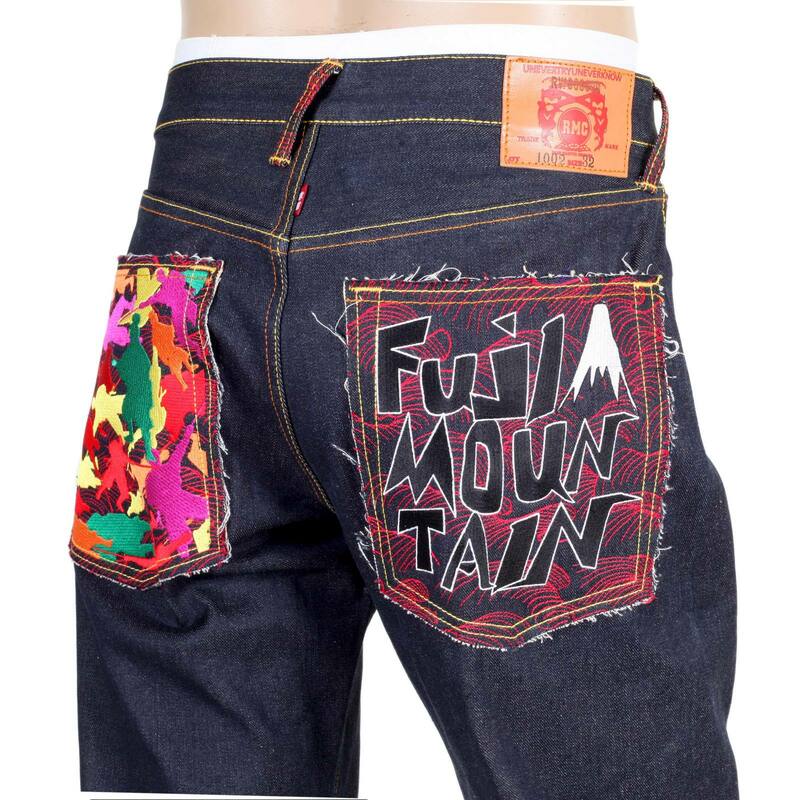 On the other pocket are the embroidered wordings of FUJI MOUNTAIN with a small embroidery of fuji mountain on the top also on a background of red tsunami wave embroidery. 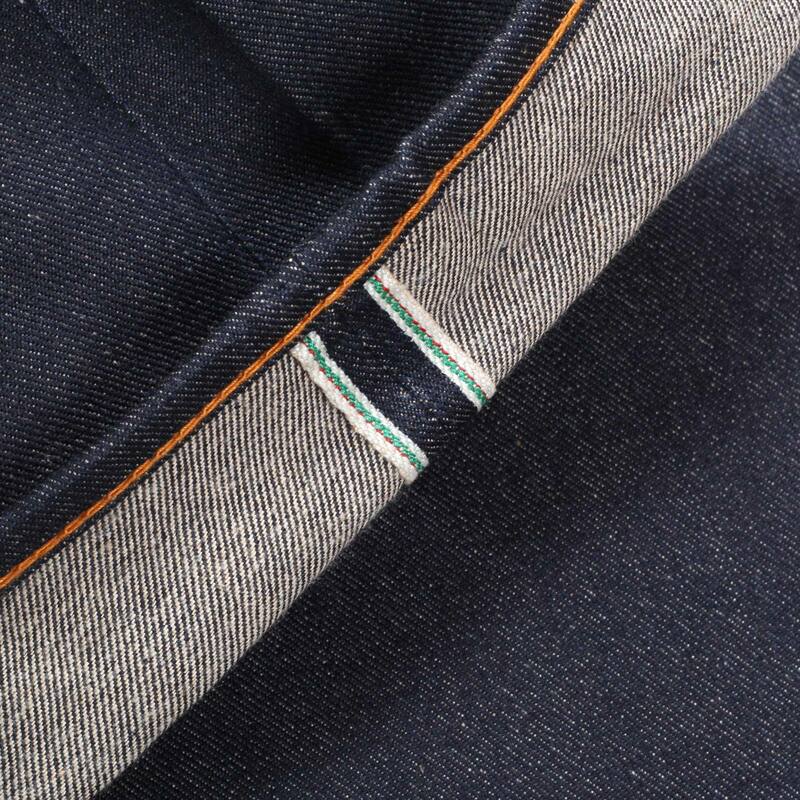 The jeans is vintage cut from genuine raw house selvedge denim. 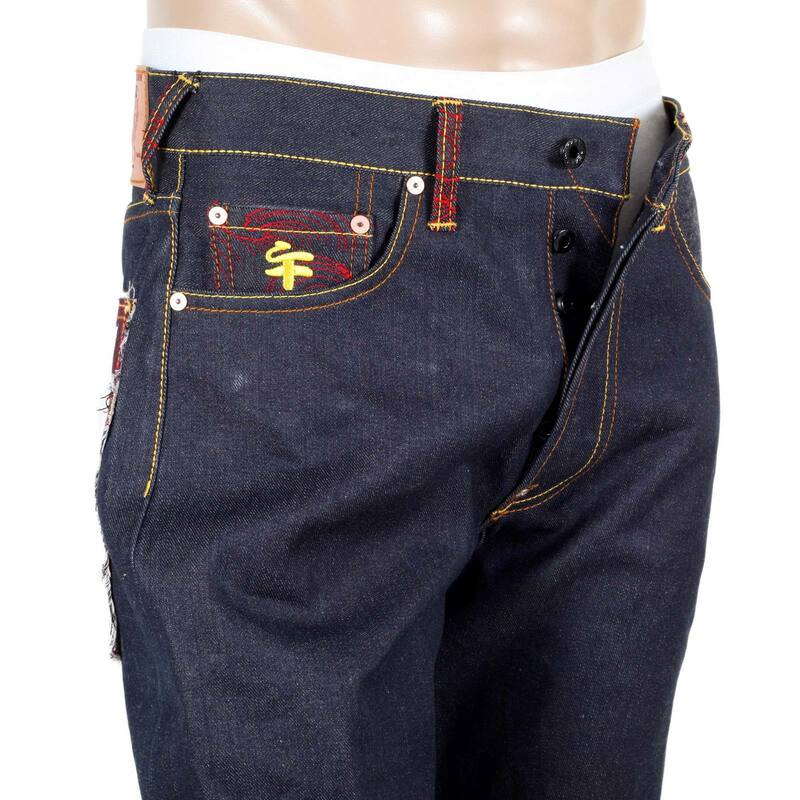 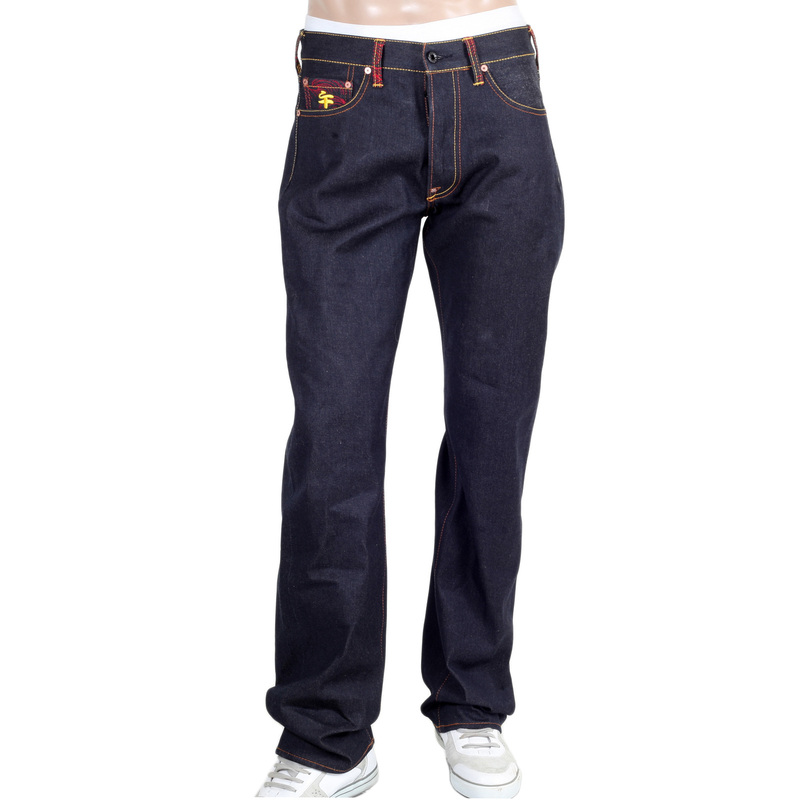 The jeans comes with an individual ID serial number which is a sign of authentication and it is given for the warranty of the jeans. 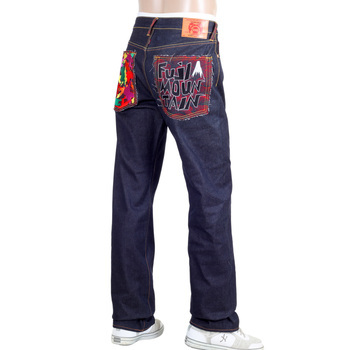 Also find embroidered ticket pocket and belt loops which are the marks of authenticity.